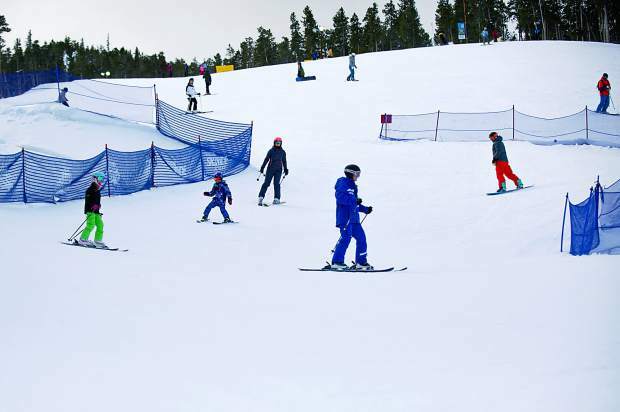 An instructor leads a family ski lesson through the baffles on a run at Keystone. Family lessons are one of several options at the resort for beginners skiers who want to improve. 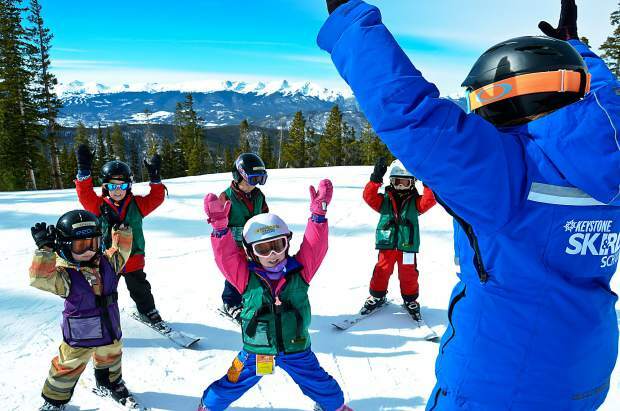 An instructor leads a children's ski lesson at Copper Mountain. A number of ski shops in Summit County offer season-long ski and snowboard rentals for young kids who are likely to change sizes during the season. 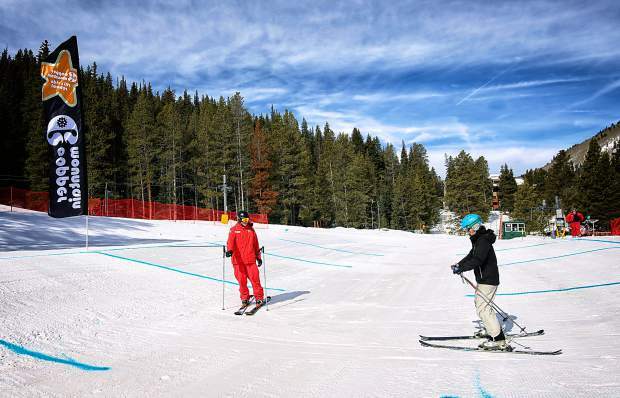 An instructor leads a student through the groomed terrain features at Copper Mountain. The variable terrain is a new addition to the resort's beginner area just outside of West Village. 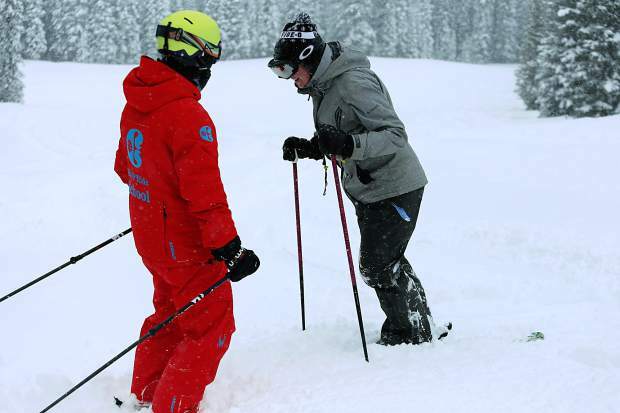 A ski instructor works with a student during a powder lesson at Copper Mountain. Local ski school instructors and ski club coaches recommend finding some type of professional instruction to move past plateaus, even if you're an intermediate or expert skier. 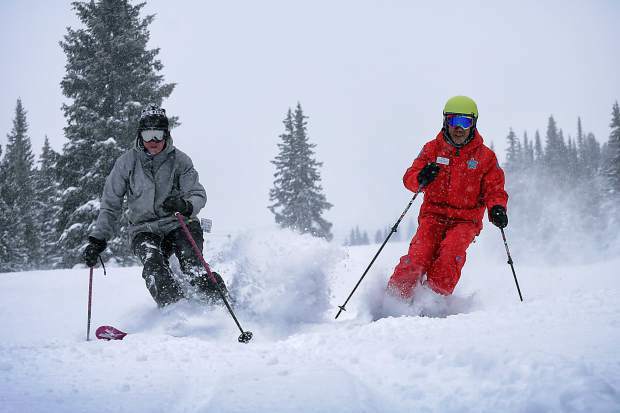 An instructor and student get fresh turns during a powder lesson at Copper Mountain. The resort offers several lessons for advanced and expert students, including advanced instruction for riding deep powder on skis made for backcountry conditions. 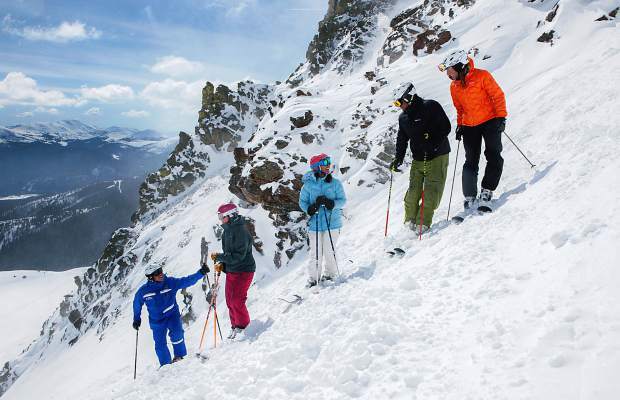 An instructor pauses with a group high above tree line during an adult ski lesson at Breckenridge. The resort's new adult program, Breck Guides, takes students on trips to alpine terrain and hike-to features like chutes. 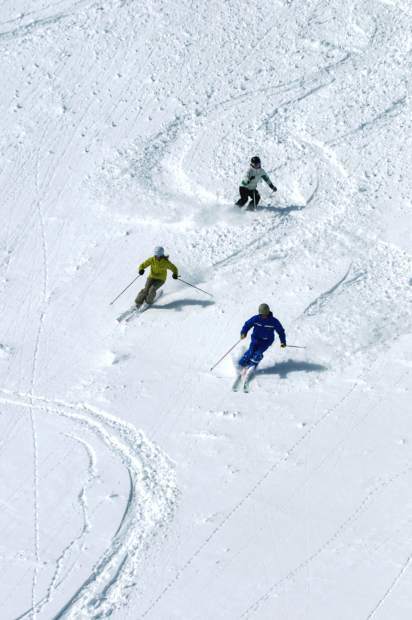 A Breckenridge ski instructor leads two students through powder during an adult lesson. The resort's expert terrain at Peak 6 is a good place for fine-tuning backcountry techniques before heading out of bounds. 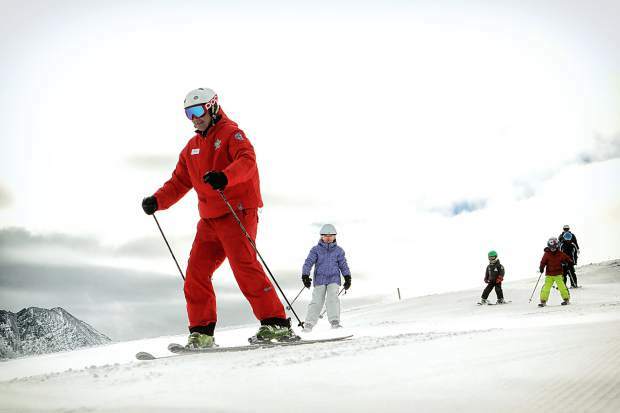 A ski instructor guides young students through a few flat-land exercises before heading onto the snow. Local thrift and consignment stores are great places to begin looking for affordable kid's ski clothing before the season begins. 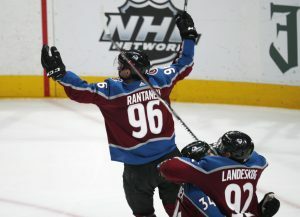 Every ski area in Summit County has greens, blues, blacks and expert terrain. But the colors don’t always match up with beginner, intermediate and advanced. Local ski instructors recommended a few of their favorite runs for anyone who wants to keep improving. Beginner: West Village area, home to most of Copper’s green runs, a magic carpet and a two-chair leading to a terrain-based learning area with manicured features. Try Vein Glory, Easy Feelin and Scooter for short greens, Soliloquy for a long run to Roundabout. Intermediate: Center Village area. Try nearly anything under the American Flyer lift, including Coppertone and Care Free for long greens. After your warm-up take American Eagle to Bouncer, Bittersweet and Main Vein for long blues. Advanced: The eastern trails and bowls accessible from Super Bee. This leads to resolution lift for access to Resolution Bowl, Spaulding Bowl and gladed trees around blacks like Cabin Chute, Saw Tooth and Highline. Beginner: Anywhere on Peak 9, home to multiple surface lifts and roads like Lower Sawmill and Lower Lehman leading to the six-person Quicksilver SuperChair., two long blues connected to Lower American, a favorite green. Intermediate: Peak 7 and upper Peak 9. Take Beaver Run SuperChair to Bonanza and Columbia, two groomed blues with bumps to the side. Take Mercury SuperChair for Upper Lehman, Briar Rose, Cashier and kid zone C.J.’s Cabin, found on Upper Lehman. Advanced: Peak 6. To skier’s left and right of Kensho SuperChair are wide-open bowls (hike-to and not) that funnel into blues Déjà Vu, Euphoria and Delirium. Every run is lined with tree for exploring. They’re wide up top and get tighter near the lift base, so have an exit plan. Beginner: Mountain House base area. Like West Village it’s home to a surface lift and beginner-only terrain features. It’s also self-contained (no upper blues or blacks). Ranger Chair at the top of the gondola is longer and can eventually connect to Schoolmarm, the 3.5-mile top-to-bottom run. Intermediate: The entire frontside, says ski and ride school director Jeff Lifgren. Spring Dipper and Santa Fe are long blues with alternately steep and mellow pitches. Progress from there to Paymaster, Wild Irishman, Frenchman and Dutchman, most named for long-gone mining claims from the area. Advanced: North Peak and the Outback. Both are home to all of the mountains blacks and bowl access, along with cat-serviced bowls and hike-to glades. 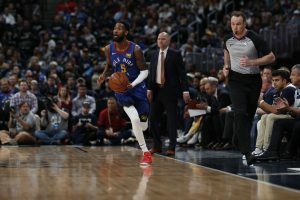 Try Outback Express for The Grizz and Badger with a mix of bumps and trees. It’s happened to everyone. For the first time since you stepped on snow, you’ve reached the limit of your skiing knowledge and just can’t seem to get better. It happens to beginners and experts and everyone in between: the plateau. Good to know this is Ski Country and progress is the name of the game. 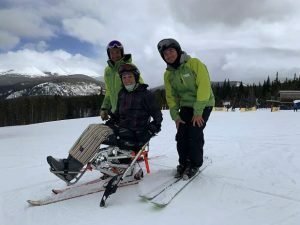 Colorado’s high country is a hotbed for professional instructors and coaches who have helped hundreds of other skiers correct bad habits and reach the next level, whatever that is. For some it’s powder, for others it’s just keeping up with the kids. No matter what, pros at every level recommend one thing: find someone — preferably a certified someone — who knows what they’re talking about. For everyone except for true never-evers, the biggest roadblocks to moving higher and higher are bad habits. We talked with local instructors and coaches for tips on how to break the worst. It’s one of the first and most difficult lessons for any skier: lean downhill, not uphill. It’s also one of the most frightening sensations for beginners, especially when you move from flat terrain to steeper terrain with obstacles like bumps, trees and more. But if you aren’t centered it’s nearly impossible to initiate turns quickly, effectively and with minimal effort. In other words, it’s the first skill you need to master. Pierini has a simple trick to remedy the backseat: pretend you have a few $100 bills tucked between your shins and your boot tongues. This keeps you in the proper position to initiate turns with your legs and feet instead of your arms and shoulders. For every old and remedied bad habit, there’s at least one way to form an entirely new one. The trick, he says, is to feel your entire foot on the base of your boot: on your toes is too far forward, on your heels is too far back, centered over your arches is just right. Take a few runs on slow, mellow greens and pay close attention to your feet and how it affects body position. Once you find the balance point, remember what it feels like and check in with your feet every few runs. Soon enough it’ll be second nature, aka a new, good habit. Moral of the story: Be careful to avoid overcorrecting. Again, working with a pro even once gives you a second set of eyes to spot these issues. 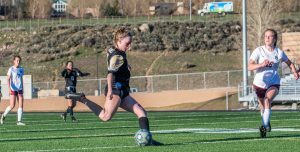 Proper form is all about efficiency, but proper form isn’t easy. 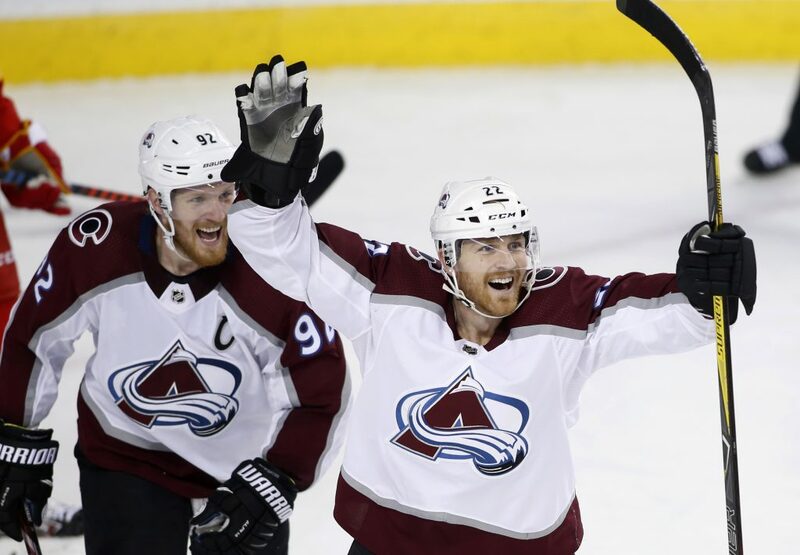 At Copper, Lawson sometimes sees intermediate skiers lift and pull their skis off the snow to start a hard turn. It can work and usually does, at least on groomers. But when you move to powder and other advanced terrain it sets you up for failure. Why? Because your balance is compromised. Lawson (known as Johnny Law around Copper) calls it a “gross movement,” meaning you’re using major muscle groups to perform a demanding — and inefficient — movement. To remedy, head to easy and comfortable terrain for fine-tuned movements. Make, deliberate turns, Lawson says, beginning the turn with your foot and ankle before engaging the leg muscles. When you feel comfortable taking turns at low and high speeds move to more difficult terrain. You’ve mastered the basics. Your body is centered and your skis are parallel. You can even maintain that form on steep terrain and mellow bumps. But, once things get real steep and it’s time for snap-quick movements, you begin to flail. Your arms are doing all the work and your legs are struggling to catch up. It’s something even ski racers struggle with, which is one of the major reason Team Summit athletes train in the gym and on the hill. Core exercises two or three times per week can maintain your strength and help prevent strains, coaches said.